German Chancellor Angela Merkel took another step in her stage-managed exit from politics on Friday, posting a video to announce the closure of her Facebook page after stepping down as head of her party. Merkel, chancellor of Europe's largest economy since 2005, decided last year after a series of election setbacks to relinquish leadership of the Christian Democratic Union (CDU) and not run for another term. In the video, Merkel thanked her 2.5 million followers and invited them to continue following her via the government's official Facebook page or on Instagram, which shares pictures. "Today is the day on which I would like to thank you for all your support of my Facebook page," she said. "You know that I am no longer CDU president, so I will now close my Facebook page." For a public figure to close down a social media presence with such a large following is an unusual move, leading some to speculate that, whatever else Merkel plans for her post-chancellor life, she envisages doing so as a private citizen. Her 13-year dominance of European politics has made her retirement a guessing game, with some expecting her to take up a senior role in the European Union or the United Nations. Merkel has always deflected questions over her future. Building a large social media following to serve as a valuable communications channel is arduous work. Merkel's following is ahead of her friend and ally French President Emmanuel Macron's 2.3 million followers, and dwarfs Britain's Theresa May's 503,000. 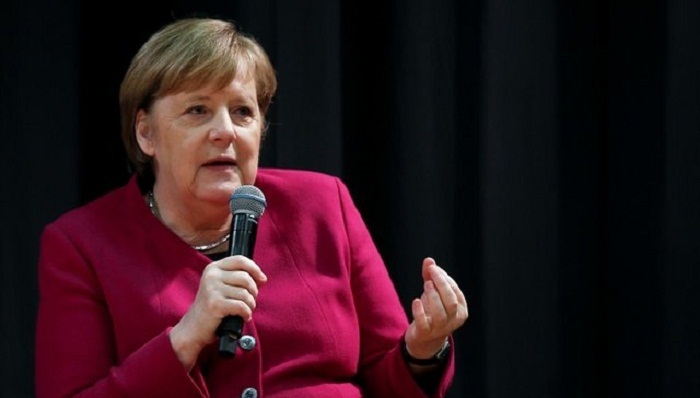 The move could not contrast more sharply with Donald Trump, who is Merkel's opposite in some respects and whose quick-fire tweets defined both his campaign and his presidency. Merkel's page often went days without an update. Her farewell video was flooded with hundreds of comments in many languages within minutes of going online. Many of them referenced the 2015 decision to open Germany's borders to hundreds of thousands of Syrian war refugees - a move that came to define her chancellorship. "I don't support you! What you did and do in Europe and with your people is shameful," wrote Maria Balogh in Hungarian. "You were my candidate for president," wrote Martha Reardon Berwick in English. "I only wish you were here in the US!"